We have 3 types of After School Clubs which you can choose from. We never use instructions, it help us to develop creativity and spatial imagination! Coding in Class robots with our experienced instructors. During Advanced Robotics we teach how to build complex machines with older students. Coding here is not forgotten, but occurs in more basic form. 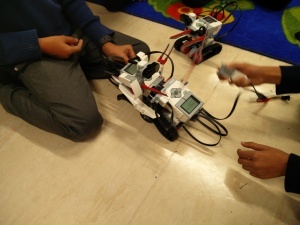 To achieve Tier 1 PrepareRobo Constructor Certificate children will take part in Racings Robots Tournament organized by us, however they need build and program them first! No worries we will teach them how to be safe drivers, too! Prices start from £7.95 per student per session! CLICK FOR MORE! After School Club during which you will learn how to construct sophisticated machines. Doesn’t matter if it is your students first or second meeting with robotics we cover newbies and advanced students. Small group size (12 students) and experienced instructors is best combination to become a robots expert. Certificates will be awarded to prove what the children have learnt. The club may be seen by students as play but they will learn a lot, it is our greatest trick! Prices start from £14.25 per student per session! CLICK FOR MORE! 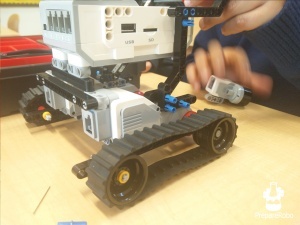 Our Advanced Robotics+ is great for building and programming using LEGO® bricks. During the 2 hours Club we will take student to the adventure through countless robots (such as color sorting robots, exploring bots and much more). Our journey could not be completed without learning how to Code! For students who have just started we introduce easy to use graphical programming environment, those who are on more advanced level will be given an opportunity to practice their skills using C like code. Following ready instructions is not what real scientists do – neither do we. When the day will come we will build fighting robots to be ready to receive Tier 1 PrepareRobo Constructors certificates. Do not worry about Robot Rebellion our ones are harmless for human beings. Prices start from £17.95 per student per session! CLICK FOR MORE! Not sure which one to choose or maybe prefer to have a chat with one of our representative before booking our Club? Please fill the below form to enquire for free consultation. Please if you are outside London ask for quotation as prices may vary.